I have this dream of having a minimalist closet, with only a few items of clothing, but that I love every item and wear them all regularly. They're all in a similar color palette and all fit perfectly, and most of it is sewn by me. I love tanks, because I can layer them under long sleeve shirts when it's chilly, or wear them alone when it's muggy and hot out. I buy knit tops from Kohls, but I really like woven tops because they look dressier and they can be hard to find in cute patterns and/or at reasonable prices. So, yesterday I was scrolling through Craftsy looking for a tank top pattern that had some fit to it but wasn't too tight or two low. 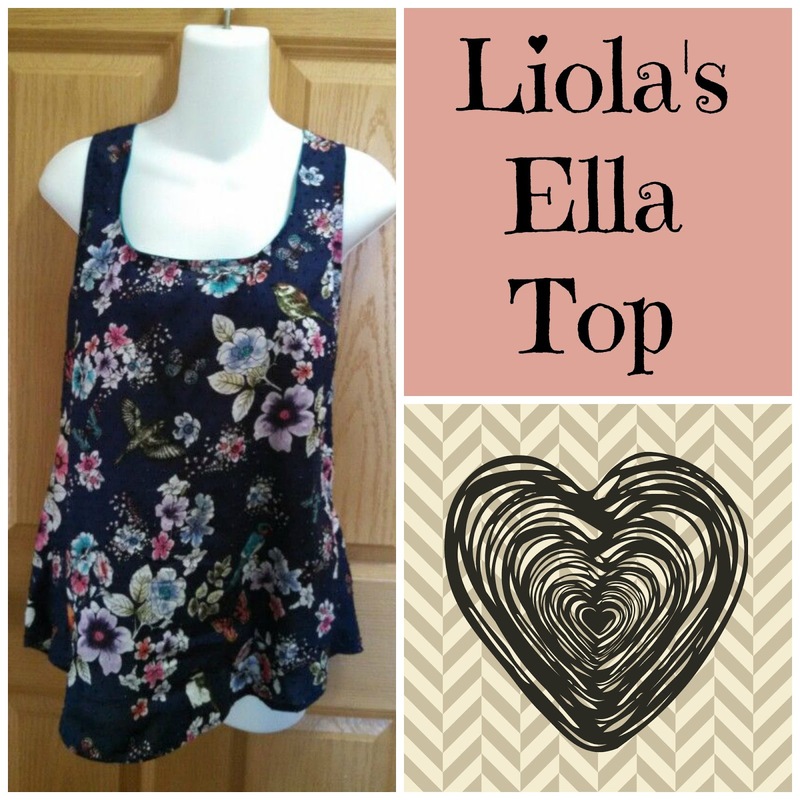 Enter the Ella Tank from Liola Patterns. It had only a few pieces, two darts, and a small gather in the back. It looked promising. I bought the PDF and got started. 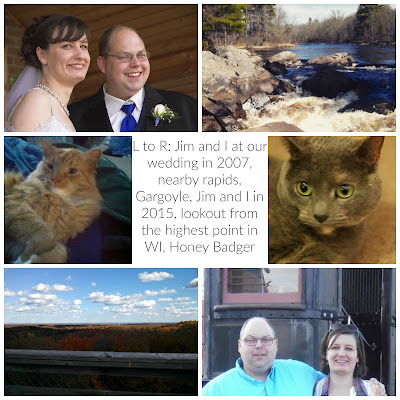 It went together fast and was super easy, but the end results were pretty amazing! It fits like a dream, flares just right and is gorgeous. The fabric was this swiss dot, bird and flower print I bought last summer intending to use the pattern I showed in this post but after I finished my wearable muslin, I decided I didn't like the pattern. It was cut really big and looked like a swimsuit coverup, not a shirt to wear out and about. So the fabric has just been sitting in my stash waiting to be used. 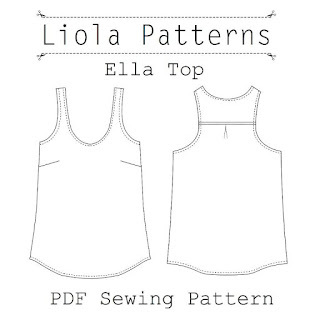 Liola is an indie pattern company and you can find their patterns all over online. 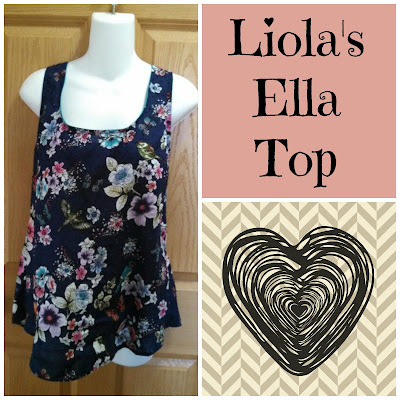 Craftsy carries six patterns for women's tops and after trying this one, I can't wait to try some others. This pattern came in four sizes. I cut the large and sewed it up within a couple hours. I don't really think there's anything I'd change about it. In fact, I plan on making more. The recommendations for for lightweight fabrics, but I have some Anna Maria Horner quilting cotton I want to take a shot at. I think it would work, just probably lose some of it's nice drape. 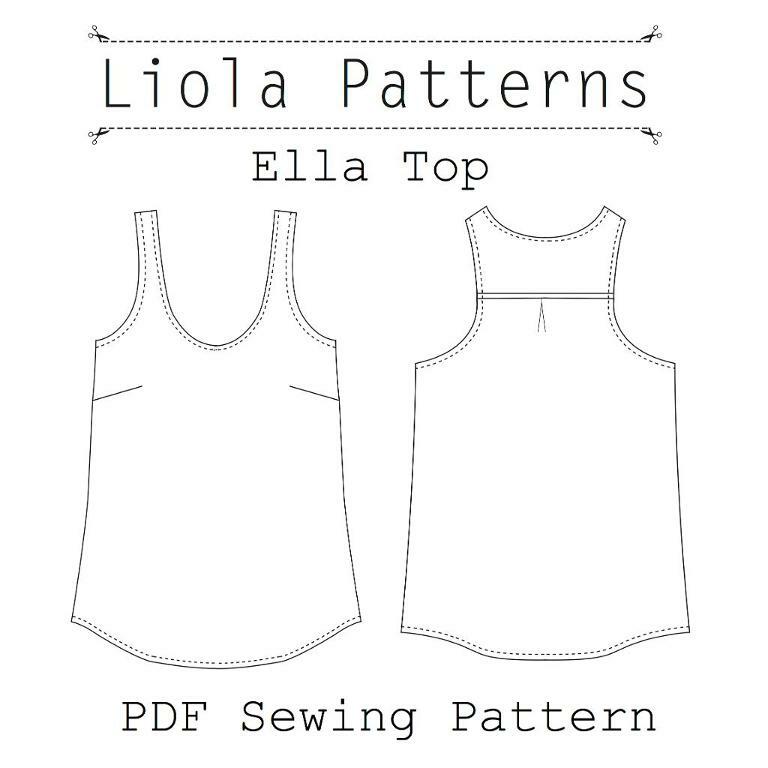 If you're looking for a fast project and have at least basic sewing skills, I'd really recommend this pattern. Do you have any Indie sewing companies you really like? Leave me their name in the comments. I'm always looking for new companies.